The Sussex skies were lit up by a phenomenon known as a 'super blood wolf moon' - and readers were quick to photograph it. 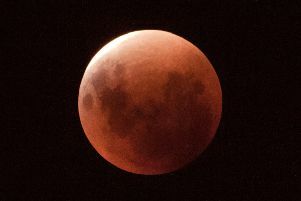 The moon turned a striking blood-red between around 2.30am and 8am today in the northern hemisphere. The moon was reportedly at its most red in the UK at 5.10am. According to scientists, this will be our last chance to see a total eclipse of the moon until 2029.